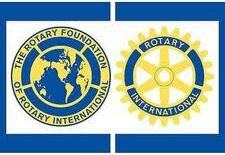 Rotary year 2011-12 was an excellent year for the District Rotary Foundation. We had great success in that we used all of our DDF. This is always a joy for it means our District Rotary Clubs did many projects overseas as well as local projects through our District Simplified Grants, (See individual listing in other parts of this report). Our Group Study Team represented our District well in Taiwan. Our clubs were great hosts for our incoming visitors. The Ambassadorial Scholar was limited to one scholar for the coming year. The committee selection declined after several months, but we were able to get our second choice who agreed to serve as our scholar. She will do us proud. Thanks to the Rotarians and Clubs, our Rotary Foundation collection for the Annual Giving is estimated to be close to $400,000 exceeding our goal of $307,000. We had one new Arch Klump member and several Major Donors and Bequest Society members. Polio did very well. We lead the Zone in giving for the year and for the entire campaign.